Email for your Application form - all enquiries will need to complete an application questionaire via email. All puppies/dogs going to homes in NSW are pick up in person ONLY due to the paperwork being required to be completed... 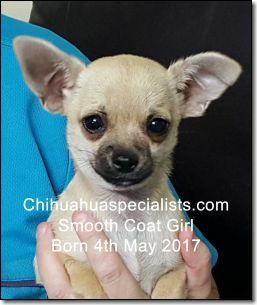 Older dogs to go to approved "local" homes within a radius of 200K's of Newcastle - This is a 200K radius ONLY no exceptions which will allow us to assist you in settling in the older Chihuahuas. In our breeding we strive for excellence! 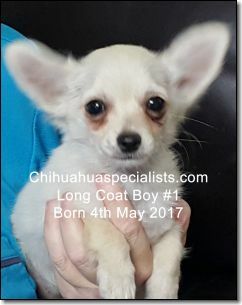 We believe that the better the structure, the better the temperament, the better the soundness and health of our Chihuahua's the better the life it leads and the longer you will have your “best friend” with you. It is from this high quality standard that your own Chihuahua would come from. 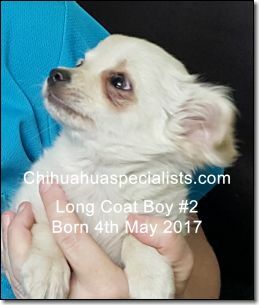 Our puppies are raised in the picturesque areas as seen from the Panoramic Photos throughout our website. These photos have been taken of our beautiful property and our Chihuahuas absolutely adore the wide open spaces and dams that they can explore - everyday is a new adventure! Remember, Chihuahua's are little humans and become an integral part of each family they belong to. We don’t know of a greater loyalty than the loyalty that a Chihuahua gives.